I'm preparing to install Microsoft SharePoint Server 2016 to machines in the VLAN without access to Internet. All the distibutives of SharePoint ask for prerequisites which must be downloaded and installed. Unfortunately, you should get them by yourself. If you have internet access, than it's not a problem. But if you don't have it? In any case it's much better to have a local copy of prerequisites distributives. 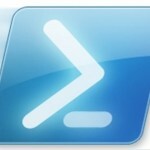 In the page https://www.itunity.com/article/automatically-download-sharepoint-server-2016-prerequisites-powershell-script-3164 I found a nice PowerShell script to download all the prerequisites. I found one error in it and fixed, that's why I publish it here. There was missed one variable. To use this script, you should create 4 directories. The tree of directories should look like this. # (c) Intellem, Inc. - DO NOT DISTRIBUTE WITHOUT PERMISSION. # FOR DEMONSTRATION PURPOSES ONLY. USE AT YOUR OWN RISK. # by addiitonal prerequisite installation scripts. # Configure the folders to which updates and prerequisites are saved. # These folders must already exist - the script does not create them. Write-Host " Downloading SharePoint 2016 Prerequisites"
Write-Host " STATUS: Already exists. Skipping." Write-Warning " AN ERROR OCCURRED DOWNLOADING `'$FileName`'"